Who's ultimately in charge in Lebanon: its prime minister, Hezbollah, Saudi Arabia? 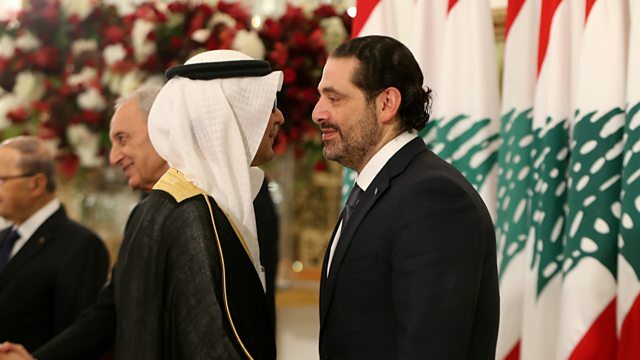 Lebanese Prime Minister Saad Hariri shocked his country when he recently resigned while in Saudi Arabia citing fears for his safety. The move plunged Lebanon into a crisis as Lebanese leaders accused Saudi Arabia of forcing him to go. It has also stoked fears of major showdown between Lebanon’s Saudi-backed Sunnis and the Iranian-backed Shia militant group Hezbollah. On his return to Lebanon this week, Hariri agreed to withdraw his resignation and seek ‘dialogue’. So who is ultimately driving events in Lebanon, Hariri, Saudi Arabia, or Hezbollah and Iran? On Newshour Extra this week Owen Bennett Jones and his guests discuss what Saudi Arabia wants in Lebanon and whether it's gearing up to take on Hezbollah at all costs.